Okami did not sell too hotly on the PlayStation 2. When it was remade on the Wii, it fared better, but not by much. Not Okamiden has touched down to the Nintendo DS, a sequel that fans of the series never thought would happen. Was it worth it? This review holds the answers. It was at the end of the PlayStation 2's hey-day when the original Okami graced its presence on the console. 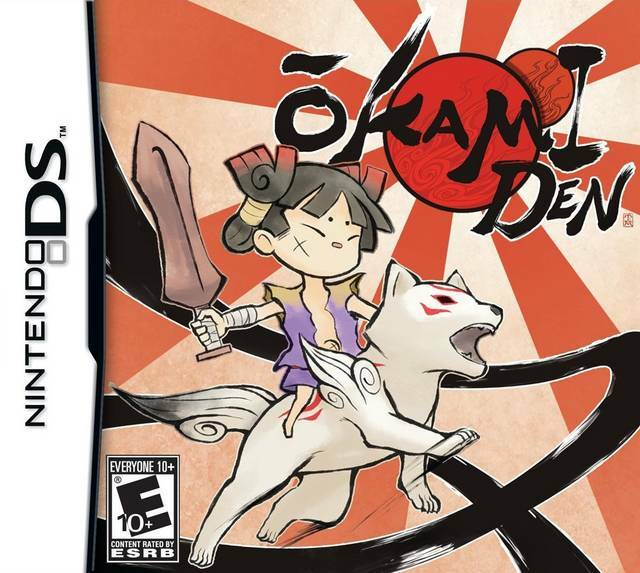 Now fast-forward to 2011, and a fresher form of Okami, Okamiden, is making its appearance near the end of the Nintendo DS's life. 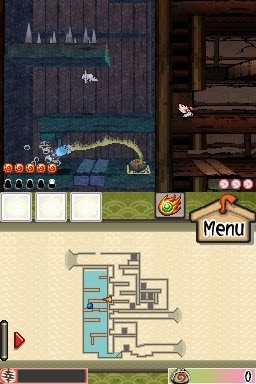 Is Okamiden the Nintendo DS's last great game? It's been nine months since the Great Goddess Amaterasu saved the country of Nippon from evil and moved on to the promised land in the sky. Now evil has returned, and with no one to stop it, a new hero blooms in the form of Chibiterasu to save Nippon from impending doom and sinister spirits. 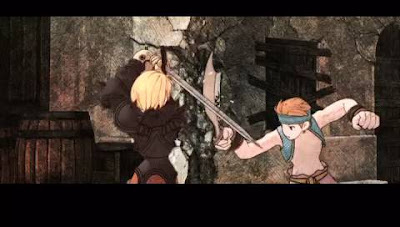 The story plays out in skippable cutscenes with text that auto-scrolls. Sometimes you just want everyone to shut up and allow you to play the game, so you skip the cutscenes. Unfortunately, that means skipping where you need to go next. Without the ability to safely skip cutscenes, you're stuck watching these mostly boring scenes. The story is not particularly interesting at all which is a shame since the original had its moments. Okamiden has virtually zero. Chibiterasu won't be alone during her journey to vanquish the encroaching evil that plagues Nippon. In fact, a total of five partners join Chibi throughout her quest at various points throughout her adventure. Each one has different powers for Chibi to utilize. The mermaid, for instance, can swim across water while another can the final friend you greet and meet can use the fire on his head to put out giant walls of ice that impede progress. Much like the Amaterasu, Chibi can utilize the Celestial Brush as well. What the Wii and PS2 versions lacked in tactile feedback, you get 1:1 brush strokes by using the bottom screen to draw lines. At any point during the game you press or hold the shoulder button and use the stylus to draw shapes or trace over constellations to gain new powers. Every time you use a Celestial Brush technique you use up a portion of your stored ink. Breaking pots can restore this as well as using items from the in-game menu. There's an abundance of moves to learn from drawing a straight line to slash a gigantic rock in two to drawing a circle with a line coming out from it to drop a bomb to blow up walls or otherwise impenetrable enemies. There's a technique called Vine which allows Chibiterasu to distance herself from her partner. While Chibi cannot cross, say, a chasm, her partner can. Then you can draw a line from Chibi to her partner to send Chibi to where her partner is currently situated. 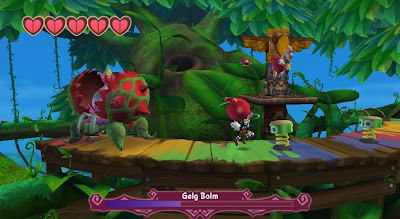 Other moves allow Chibi to polarize magnets, give bloom to dead trees, and connect fire to burnable objects. Okamiden, like much in lieu of its original game, follows the Legend of Zelda in its design philosophy. You explore the overworld, towns, and fields talking to townspeople and gathering clues on where to head next. 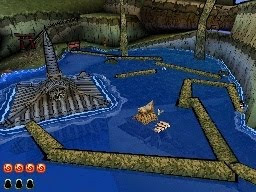 Like Zelda, the game really follows a overworld-dungeon-overworld structure. The overworlds are devoid of life until Chibi's Celestial Brush paints them new life whereas the dungeons require every use of the Celestial Brush that Chibi can think of. Partners must separate, switches must be pressed, and bosses must be slain. In Okamiden, the boss battles require all usages of the Celestial Brush to defeat them. A giant catfish that charges at Chibi and her partner must have its tongue connected via the Vine technique to a flower that hangs on the ceiling of the battlefield. It is only then that the giant catfish can be attacked safely. A large toad, on the other hand, when dropping down from the sky can be hurt by slicing its belly button by drawing one straight line at the target to injure it. Most enemy encounters do not happen on the overworld or in dungeons. Instead they occur in circular arenas. Much like the bosses themselves, finding the correct Celestial Brush technique is key in defeating a given enemy. In the Legend of Zelda, gaining heart containers is how the hero increased his health. In Okamiden Chibi gains new health and more ink storage by helping out townspeople with their problems and revitalizing the land. There's a gauge on the bottom of the touch screen that grows with every successful deed. When it fills fully, a new notch of health or ink pot is gained. The touch screen also houses the camera controls as well as a map of the area Chibi and friend are currently residing in. There's plenty to see and do in Okamiden. One playthrough took me about eighteen hours to finish. I tried to collect as many treasures as possible. Most treasures housed helpful items like unlimited ink for a limited amount of time, health-restoring food, and priceless antiques that can be sold to retailers for a profit. These were usually hidden in out-of-the-way locations and in closed-off caverns. You can also purchase these items from vendors in the two main towns in the game or by demon vendors that prowl around save points. Speaking of save points, after an area has been purged from evil, you can eventually use a Warp ability to zoom from destinations easily instead of going it by hoof. After beating the game, you earn a New Game + option that carries over all of your health and ink pot storage. All treasures collected go away, however. Visually, Capcom pushed the DS to its limits. The watercolor cel-shaded look of the game is pretty impressive if not a bit gaudy. There's little in the way of slowdown, and the effect of flowers popping up wherever Chibiterasu prowls is a nice touch. The gibberish voices akin to something like Banjo-Kazooie are charming, and the music is altogether complimentary to the setting of Okamiden. My main problem with Okamiden is that it feels like Okami-lite throughout the adventure. You're revisiting old areas (that this time around are heavily-segmented into smaller fields) and facing familiar foes. The constant cutscenes that you cannot control how fast the dialogue goes is also a bother. If you're expecting a Clover Studio-inspired journey, you're going to be disappointed. 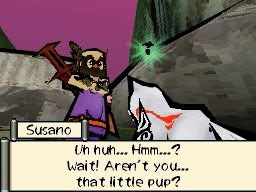 This game hardly holds up to the original Okami. The combat is basically mash buttons to win, the puzzles are painfully easy to solve, and the bosses are mostly underwhelming. For a Zelda-like title on the DS, stick to Zelda. If you were a fan of the original Okami, there's hope that you'll enjoy this sometimes clever romp. Watch a speedy green-eyed hedgehog racing with the classic black-eyed Sonic in this brief teaser trailer for an upcoming downloadable game. With the poor care that was Sonic the Hedgehog 4, I really don't have much hype for this game. Still, I know many of you readers out there still dig the hero that's way past cool. Enjoy this teaser trailer. Nintendo is infamous for their droughts. Since the Nintendo 64, they've essentially had to depend on their own content as third parties just won't compete. It's not a question that they can't compete, they just don't bother. Then they complain they can't compete with the quality of Nintendo's games when they develop such tripe like Red Steel (the game that was supposed to show that FPS games could work on the Wii), the Imagine line, EA's All-Play series of sports games, and et cetera. Thus, they complain about sales. It's a vicious cycle and b.s. Nintendo console owners are ubiquitous with waiting long periods of time for good content. Let's take a look at this month, shall we? 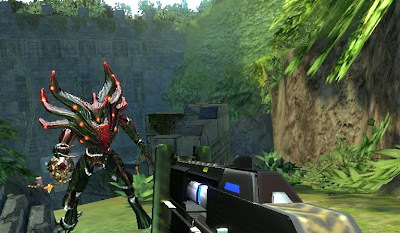 For Wii we have the Conduit 2 to look forward to by a former (and some would argue still) bad game-making developer. That's pretty much it for the Nintendo faithful. One could pass the thought that if it was on any other platform it wouldn't be getting a second look. I agree with this line of thought. For the DS there's a mountain of licensed games and not much else. 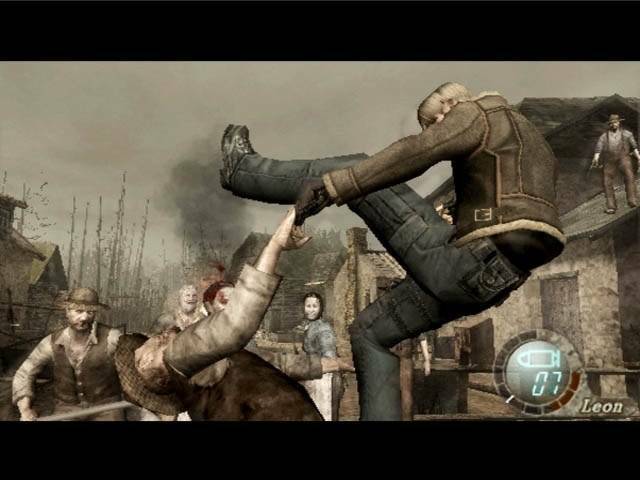 For the newest handheld from Nintendo, the 3DS, there's lots of unimpressive titles in the pipeline like the botched Ubisoft port of Splinter Cell. that's all Wii owners get in April. In Japan the situation isn't as bad. The 3DS is getting some games, but it's being beat by a five year old system in the PSP. That's not surprising considering the support the PSP is still getting. Unlike the rest of the world, people still play their PSPs in Japan and regularly purchase software for it. How can the 3DS compete when the tech is nearly the same, and lazy third parties (the ones Nintendo was trying to give an edge to) produce ports and crappy titles for the launch? Are third parties just asshurt over Nintendo or something? The Wii is in a much worse position, however, constantly being outsold by the PlayStation 3 and selling in the 10,000 range each week. To shed some light on this, the PS3 is selling three times that with little in the way of games. So what does the Nintendo faithful do? Waiting until E3 is just maddening. There's no excuse why more content cannot be on Nintendo's platforms. There's a bevy of titles that Nintendo of Japan is sitting on that haven't been localized in North America. 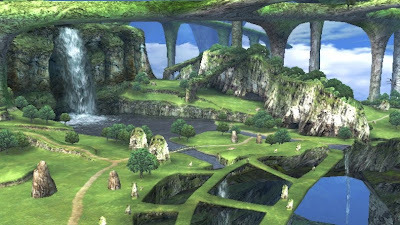 That slicing game where you take down giant monsters with the MotionPlus accessory, Xenoblade, the Last Story, Soma Bringer-- the list goes on and on. Instead we have a drought on the best-selling console this generation. That's just pathetic. Shame on Nintendo for not having the foresight to plan ahead and create enough content for the Nintendo faithful. I'm not saying it's all Nintendo's fault. Third parties since the beginning have pretty much been worthless when it comes to the Wii releasing dumbed down games and other tripe. At least the 3DS has titles announced for it that seem worthwhile such as the remake of the Ocarina of Time, Star Fox 64 3D, Kid Icarus, Mario Kart, and more. so how about North America? My case in point is simple: it's going to be a long two months for Wii, DS, and 3DS owners... a very long two months. Remakes and ports are just fine and dandy in my book. When we have too many where budgets and time could go toward new projects is when it bothers me. There's plenty of excellent remakes and ports, and this list pinpoints several of them. These are better than their predecessors in (almost) every conceivable way. Enter the jungle with Naked Snake with an all-new camera perspective. No longer are you confined to static camera angles as now you can rotate the camera a full 360 degrees! Add in a movie viewer, an online deathmatch mode, and new maps for the cute and charming Snake VS. Monkey mode, and you have one solid title. Armed with the Wii remote and nunchuk, you can get pinpoint precision that dual-analog just cannot compete with. Some say this makes the game too easy, but then I do knife-only, rifle-only, and no upgrade runs to make up for it. 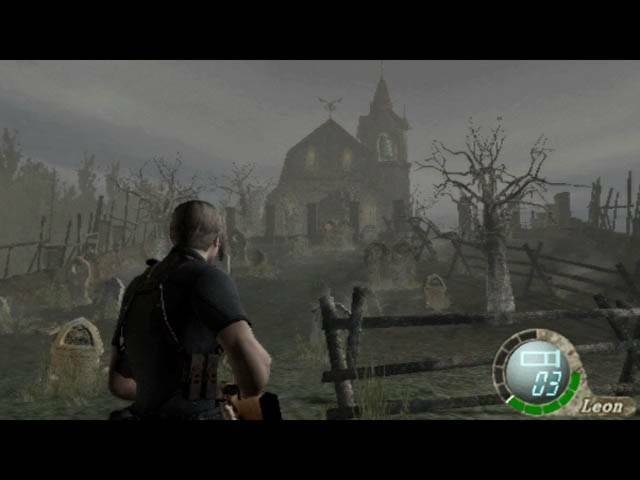 Armed with all of the bonus features (costumes and modes) of the PlayStation 2 port, Resident Evil 4: Wii Edition is the definitive version for the time being. That all depends on how the HD port turns out. 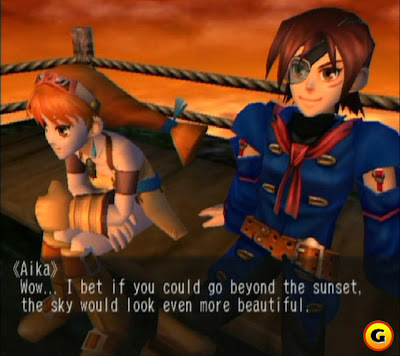 Vyse and the gang return in this port of the Dreamcast classic. 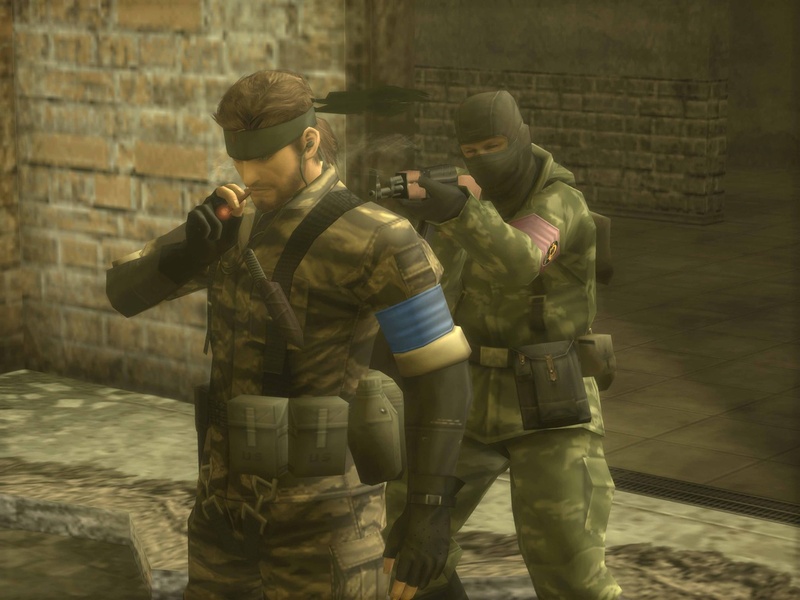 What was lost in music quality was gained in new sidequests, boss battles, and cutscenes. The random encounter rate was cut down, so you didn't run into a battle every three steps. Good luck hunting down a copy though as this bad boy can cost a pretty penny online. Take four classic games, one of which wasn't released in the West, and rebuff them with crisp 16-bit visuals to make four awesome titles. In this collection there's the original Super Mario Bros., Super Mario Bros. 2, Super Mario Bros. 3, and Super Mario Bros.: The Lost Levels (known as Super Mario Bros. 2 in Japan whereas they know our SMB2 as Super Mario Bros. USA. Recently a collection was released for the Wii. Essentially it was a ROM dump, but it gave consumers a second chance to pick up these classic games. 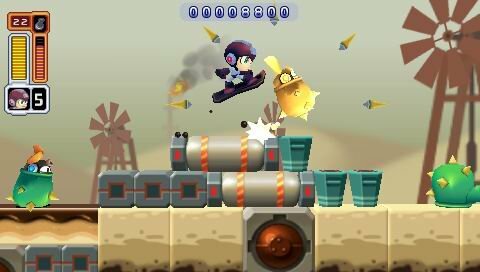 Cel-shaded chibi-styled robot masters and Mega Man all lead to one charming title. 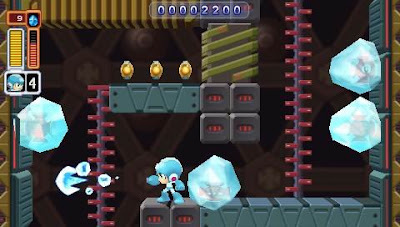 The ability to play as the eight robot masters, create your own levels to share with the world, and play on multiple difficulties added quite the longevity to this humongous mega-package. It's just a shame that we haven't seen a sequel to this game as most of you PSP owners didn't pick this one up. 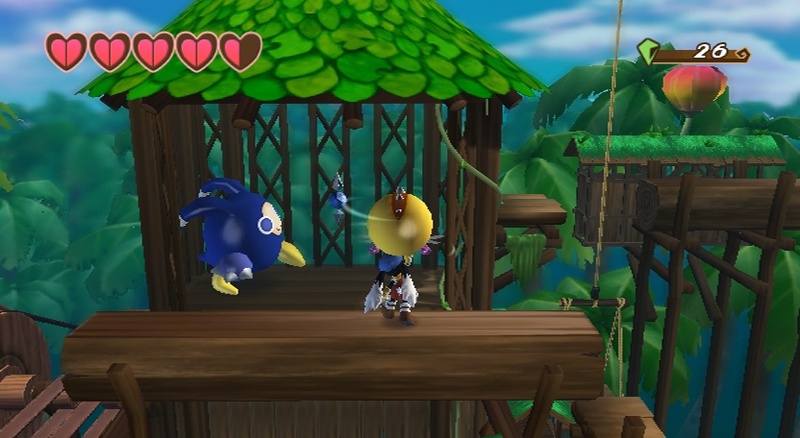 The original Klonoa, the one this Wii remake is based off on, was on the PlayStation 1 under the guise of Klonoa: Door to Phantomile. 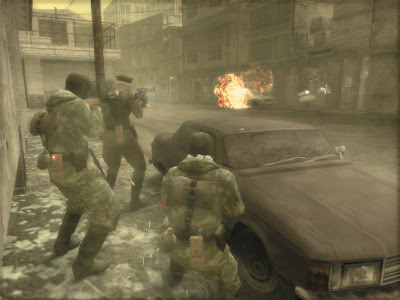 The Wii version introduces crisp and clean visuals, and loads of post-game content that is bone-crushingly difficult. Although the game will last you but a few short hours, it's less than thirty bucks, and it's the type of game you'll want to play through over and over again. Adding Balthier from Final Fantasy XII as a playable character including a host of new features including a new translation and stylized cutscenes, the PSP port of Final Fantasy Tactics, subtitled War of the Lions, is one of the PSP's best titles. You're sure to put near hundreds of hours sinking your teeth into this massive tactical RPG. There's my list of ports and remakes that far outclass their originals. What games would you like to see in part two? Send me a signal (i.e. a comment), and I'll look into it! Be sure to vote on April's new poll as well. This week on the favorite VGMs we're doing a blast from the past. All five themes played this week are from the Super Nintendo era-- one of the best consoles in all of gaming in this blogger's humble opinion. We have music from the Teenage Mutant Ninja Turtles, Mighty Morphin Power Rangers, and Mega Man X. Let's get to it! You might notice that this screenshot shows the Teenage Mutant Hero Turtles. Apparently in Europe (or to be more specific, the U.K.), ninja is considered a bad word. That's the reason for the change of the name. I don't think Teenage Mutant Hero Turtles rolls off the tongue as well as Teenage Mutant Ninja Turtles. Probably because I'm simply used to saying TMNT. Regardless, this song comes from the Super Nintendo version of TMNT: Tournament Fighters, a pretty-good fighter from the nineties. This arena, Thunder Dome, was a rock concert-like atmosphere, very conducive for a brawl. This really sounds like something from a 16-bit Mega Man or Mega Man X game, does it not? Regardless, when I was just a small lad, I begged my mother to let us see this movie. I think it was a double-feature. This and Batman Forever-- a double load of crap in retrospect. Nonetheless, the game was quite good. It was a 2D side-scrolling brawler where after you gained enough in your power gauge, you could transform into your Power Ranger form. There were plenty of bosses to take down, too, like Skullerina, Cannontop, and that mirror boss from the first level. I forget the names. I always dug the monster designs. They were my favorite part of the show and movie. 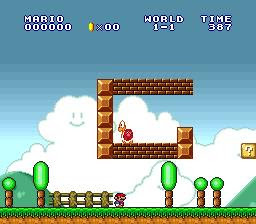 Flower Garden is the first main level theme you listen to in Yoshi's Island. 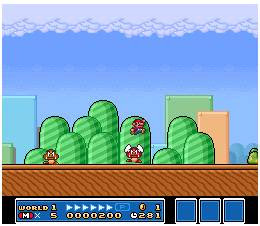 In Japan, the game is simply known as Yoshi's Island-- not Super Mario World 2. In fact, Nintendo of America thought it would be wise to add that moniker to the title to sell more copies. Whether it worked or not is up for question. I think it did. Nonetheless, I don't really consider this game a true mainline Mario game. I consider it a Yoshi spin-off. This is a big debate within the Mario fandom. What side are you on? Fly Pudding is the theme of Jean the Frog's castle. When Ryu's party arrives there, they see that someone is impersonating Jean. How can they possibly prove that the fake Jean is an impostor? After ousting the fake Jean who turns out to be a demon, the royalty of Jean's kingdom is saved. 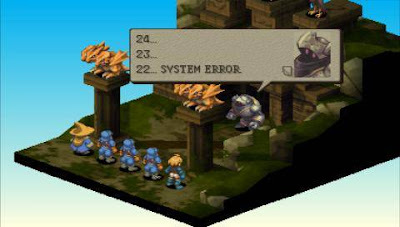 Breath of Fire II was solely developed by Capcom, unlike the original BoF that was co-developed by Capcom and Squaresoft. 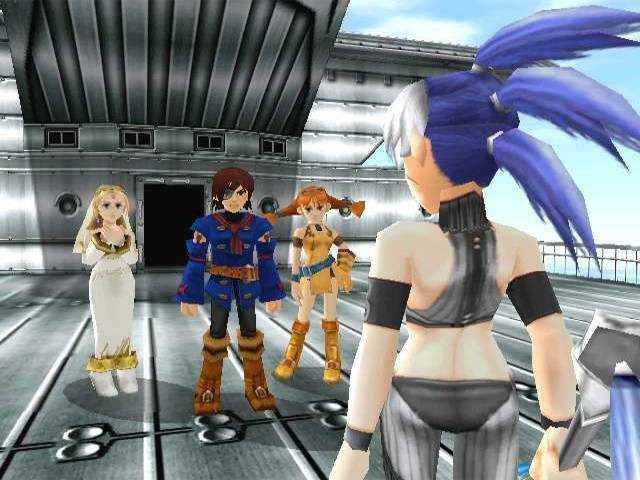 I prefer the original to the sequel as the sequel required a heckuva lot more grinding than the first Breath of Fire. This was true especially in the Infinity dungeon, the long, final dungeon of Breath of Fire II. We end our tour of Super Nintendo classic soundtracks with one of my favorite 16-bit games of all time, Mega Man X. I cannot tell you how many times I've played through this game. Probably dozens. 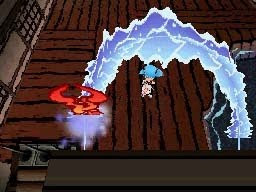 Boomer Kuwanger is a bull-type enemy that is weak against Launch Octopus's Homing Torpedo weapon. Kuwanger himself uses a charge attack to slam X against walls, and can teleport around the room to trick Mega Man. Thankfully, that's where the Homing Torpedo comes in. The theme of Kuwanger's stage starts off soft and then gains a bold percussive beat. It's quite catchy, wouldn't you agree? The Super Nintendo edition of the VGMs is over. Hope you enjoyed this trip back to a kinder, gentler time in gaming where platformers ruled and the term FPS wasn't even an idea yet. Until next week, the VGMs are out!